What is dairy-free protein powder? Most protein powders on the market are made from whey protein, which comes from cows milk. Although whey protein isolate contains very little lactose, if you are sensitive to dairy you might experience tummy trouble or digestive issues. 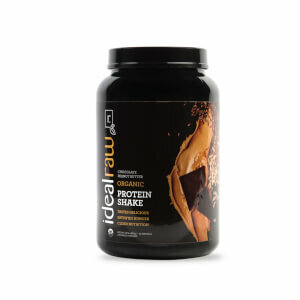 A dairy-free protein powder is a protein powder that is free from any milk derived products. Why choose a dairy-free protein powder? You might want a dairy-free protein powder if you are sensitive to lactose or milk products, are vegan, or want to consume less dairy. Dairy free protein powders are typically sourced solely from plants, making them easier to digest and more natural. Many people might have bloating or gas when they drink whey protein, but when they switch to a plant-based, dairy-free protein the bloating goes away. This is because dairy free protein powder is generally easier for the body to digest. What’s the best dairy free protein powder? 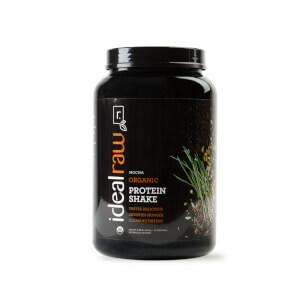 IdealRaw is a great dairy-free protein powder because it’s completely organic, plant-based, vegan, and free from anything artificial. 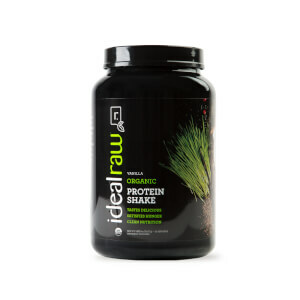 Unlike other dairy-free protein powders, it’s sweetened naturally with stevia and has a delicious, smooth taste. It comes in more than five different flavors and is a great way to increase your daily protein intake without consuming more dairy. Need a dairy-free protein powder recipe? Our delicious dairy-free protein powder tastes amazing on it’s own, in smoothies, or in baked and frozen treats! Line a small baking sheet with parchment paper. Drop teaspoon sized amounts of the peanut butter on the parchment paper. Place the peanut butter in the freezer and freeze for 30 minutes. Also, freeze the bananas if you haven't already. To make the ice cream, combine the bananas, almond milk, and IdealRaw Protein in a high powered blender. Blend until thick and smooth. Scoop 1/3 of the ice cream into a mini loaf pan, top with a 4 frozen peanut butter balls, and repeat two more times if possible. This way the peanut butter is throughout the ice cream when it is scooped. Freeze for 2 hours. Enjoy!! Does Organic Dairy Free Protein Have Special Benefits? Why Should I Use a Dairy Free Protein Powder Like IdealRaw Protein?